Why am I getting hurt? What is holding me back from faster times? The SPEED Clinic is here to answer these questions, and much more! To reach that lofty goal, we spend a lot of time with you. 2-3 hours, in fact. We show you what is going on in simple terms. The 3-D analysis uses extensive technology to provide hard evidence about your running. We combine this with diverse testing to yield tremendous insights into why you run the way you do. Then you learn how to improve. Appointments last roughly 2.5 hours. No acute pain or limping allowed. Full discussion of injury history and training habits. Thorough assessment of your movement, e.g. muscle weakness. You learn why you get hurt or lose speed. We show you how to improve. You take home your 3-D data and narrated videos of corrective drills. This can become overwhelming to people, so we try to keep it simple. We even write down the key points and e-mail a thorough summary of the session. We can work with your local therapist or coach on long-term solutions. 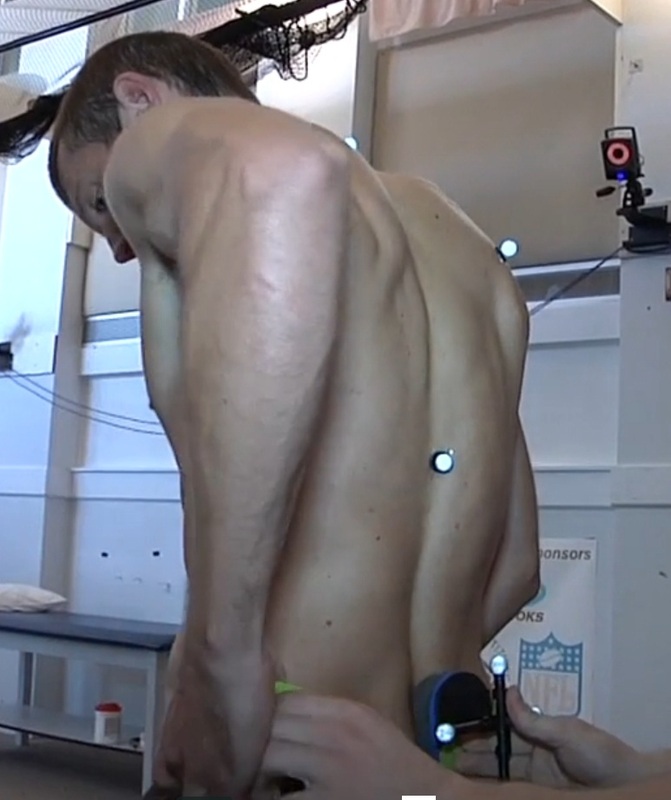 We also offer a shorter 2-D video analysis which many runners find beneficial and accessible. Running should be pretty straightforward: just lace ‘em up and go. Most runners know there is a catch: we need volume to achieve our goals, but volume can lead to overuse injuries. So why do so many runners get injured? 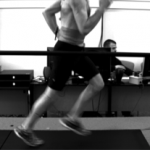 The truth is that each runner needs to dynamically stabilize about 2.5 times his/her body weight on one foot. Add this up over 1500 foot strikes per mile…it’s easy to see how subtle issues can lead to major symptoms. In essence a runner needs enough movement (flexibility) to complete a solid stride. At the same time, strength and power are required to take advantage of the body’s own structure. The SPEED Clinic advantage is that we not only pick up on your limitations, we help you improve them with straightforward drills and exercises. Musculoskeletal Screen – we examine how you move in several simple tasks, none of which are running but all of which impact your gait. 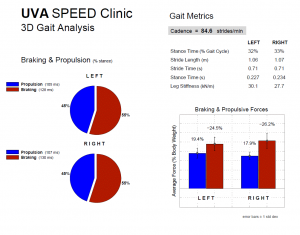 Kinematic Data – Kinematics are the data which reflect the movement of your joints throughout your stride. 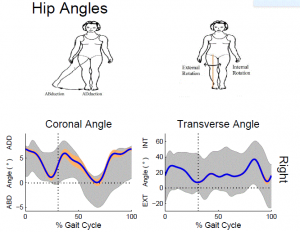 Kinetic Data – kinetics are the forces that act on joints. 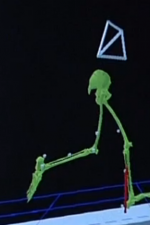 For kinematics (joint movement), we use a very sophisticated system of cameras which collect your gait movements at 500 frames per second! There are inefficiencies and asymmetries that the human eye might miss in a simple video analysis, but we pick them up every single time. Laboratories that only examine motion without incorporating forces (kinetic data), are unable to perform thorough assessments. We combine that evidence with a wealth of coaching experience to deliver real results. We recognize each individual has a unique biomechanical footprint. Therefore, we spend ample time reviewing your training history and chronology of previous injuries. The training program, exercise selection, and propensity for injury must be evaluated on a case-by-case basis. This takes us a lot of time and effort, but it’s worth it. Our primary goal is to educate you. This allows you to understand why and take ownership of the situations. Based on your unique biomechanical profile, we then provide you with a detailed plan for improvement. This philosophy has rewarded us with hundreds of thank-you notes and happy athletes! 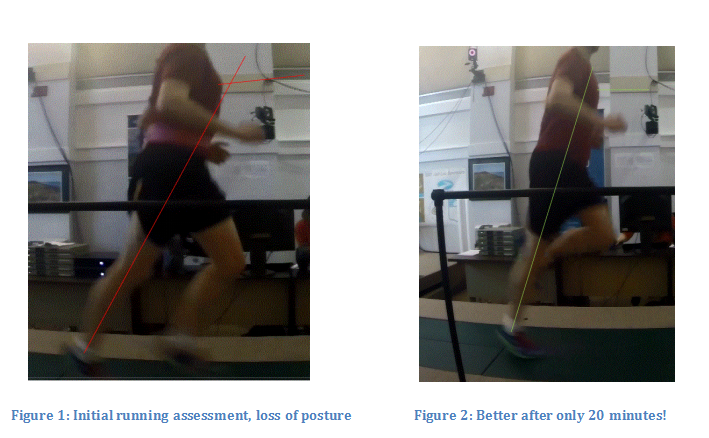 Over 90% of our visitors do the 3-D walking or running analysis for good reason. It is what we are “known” for. While digital video and experienced coaching can help your running, it does not come close to the ability of 12 infrared cameras to objectively collect data on all your joints. We get black-and-white statistics that summarize the joint movements and forces occurring while you run. Rather than guess at what the underlying causes or relative movement extremities are, they are objectively presented to you as a means of helping you become more efficient and resilient. These critical observations are tied to a full biomechanical screen and injury history. This is how we get to the heart of matters which affect your performance. Finally, we take the time to coach you through stride changes and corrective exercises designed to get you up to SPEED. You receive a DVD of your running data, digital video, 3-D animation, narrated corrective exercises, and a commitment from our staff to help you long-term. That’s a lot of bang for your buck! 2-D stands for 2 dimensions, which basically means we capture your running form in digital video. This is done from 2 angles: face-on and side view. The digital videos are used in conjunction with a full biomechanical screen to help us trace inefficiencies through your unique movement patterns. Once the movement screen is complete we carefully review you videos and summarize the important areas where your stride breaks down or loses alignment. The final piece of the puzzle is guiding you through gait drills and corrective exercises to fix the problematic patterns we observed. As with our other analyses, you should be able to run pain free for at least 5 minutes. Runners have a natural enemy – themselves. Since the running boom of the 1970’s, the number of injuries in this demanding sport have multiplied. Experts estimate that more than 70% of all runners will experience an injury severe enough to require at least one week’s abstinence from running during the course of their running careers. Just as running is a special type of sport activity, so running injuries require a specialized expertise. Today, injured runners have their own place to go for expert care and healing, the UVa Runner’s Clinic. One of our other care partners, Eric Magrum, PT, OCS, FAAOMPT, at UVA-Encompass Health Outpatient Sports Medicine Center, works in concert with the SPEED Clinic to provide Physical Therapy services to the athletes that have been previously evaluated and need specialized, ongoing assistance. He can provide additional treatment of the biomechanical dysfunction limiting the performance goals of individual athletes, prevent future injury, or rehabilitate from a current injury. Through communication with the SPEED Clinic staff and utilization of the kinematic and kinetic data gathered, Eric can assist with addressing the source of the problem and provide information on long-term rehabilitation solutions to better help your performance. Each analysis will be accompanied by drills, exercises, and recommendations you can take home with you. *Please contact us for information regarding pricing or for additional general information. Many questions can be answered on our FAQ page. **Extended training programs are also available, please contact us for more information.